City Safe is a collaborative partnership between Whangarei District Council, Northland Regional Council, New Zealand Police and Chambers of Commerce Northland aimed at ensuring a safer city and community. City Safe began as an initiative to combat antisocial behaviour and a feeling of unease in the city centre – particularly surrounding the Cameron Street Mall and Town Basin. Over the years of operation, the programme has grown both in size and scope, and it’s success has prompted the inclusion of carpark patrols, city security camera volunteers, community patrols and more! Whangarei’s CBD is now patrolled daily and on weekend nights through to early morning, offering a more secure night out for you, your friends, and your loved ones. City Safe Officers keep a close eye on graffiti and littering, significantly reducing instances in the inner city. City Safe Officers ensure anti-social behaviour is dealt with respectfully and effectively. 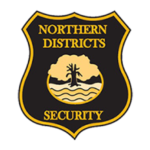 City Safe is a collaborative project governed by the Whangarei District Council, the Northland Regional Council, the New Zealand Police, and the Northland Chamber of Commerce, with current operations managed by Northern Districts Security. The initiative draws together a wide network of volunteers, stakeholders, local businesses and community groups who all share the same vision: a safer city for us all.